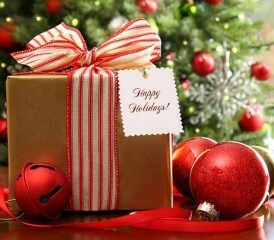 Deciding what gift to give to someone affected by cancer during the holiday season isn’t easy. Traditional gifts may lack the meaning you’d like to deliver. While factors like cancer treatment, side effects, compromised immunity and dietary changes can impact your decision. Don’t fret. We’ve thought through all those details for you. Here’s a list of gift ideas that anyone facing cancer will appreciate. Many of these gifts will also work well for caregivers and family members of the cancer patient. Remember, it’s the thought and intention of the gift not the cost that makes the receiver feel loved and valued. Planning to spend time with your loved one this holiday season is one of the most meaningful gifts you can give. The comfort of time spent in the company of loved ones is invaluable to people coping with cancer. Do they have a favorite holiday movie or meal you could bring with you when you visit? Think of simple ways to enjoy time together that will uplift them in their time of need. The simple act of listening is supportive. Sometimes we all need to vent. This is especially true for anyone affected by cancer. Be a compassionate listener by offering nonjudgmental responses and only offer advice if asked. Consider giving your loved one an assortment of herbal teas with a note saying you’d like to catch up and enjoy tea together. Gather photos and other tokens of memories to make a photo book or scrapbook that reminds your loved one of good times. Websites like Snapfish and Shutterfly make it quick, easy and affordable to craft photo books with digital images. These cancer planners are designed to help patients and caregivers stay on top of medical care. Easily keep track of medical appointments, document side effects, log treatments and medications, and organize doctor recommendations in one small planner. 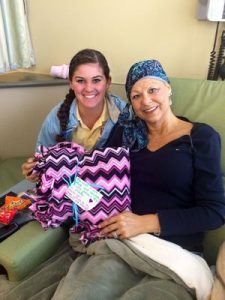 Blankets come in handy during chemotherapy sessions in treatment centers, which are typically kept cold. You can easily make a no-sew fleece blanket with these simple instructions. If your friend or family member is going through chemotherapy, they’ll appreciate certain accessories during the experience. Men like hats to protect the sensitive skin on their head, as well as socks to keep feet warm. In addition to socks and hats, women will appreciate scarves, shawls and gloves. Keeping up with household chores isn’t easy when you have cancer. Ask when there’s a good time for you to help with laundry and cleaning. If you can’t find time, consider setting up a cleaning service. Cleaning for a Reason is a nonprofit that partners with cleaning service providers across the nation to offer free house cleaning to people in cancer treatment. Families coping with cancer struggle to find the time and energy required to make healthy meals at home. Ask about dietary restrictions before you decide which meals to make, and deliver them in containers that don’t need returning. You can get others involved with MealTrain, a free online meal calendar that helps family, friends and neighbors coordinate meals for cancer patients. 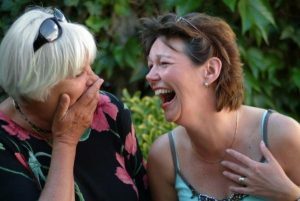 Laughing not only boosts mood, it promotes overall health and well-being. If the cancer patient isn’t able to get out easily, consider gifting comedic movies, TV shows or stand-up comedy specials on DVD or Blu-ray. A subscription to streaming services Netflix or Hulu will make laughter available to them anytime. If they’re recovered from treatment and feel up to outings, tickets to a local comedy show will raise their spirits for a night. A good book can change a life. Books can offer hope, inspiration, wisdom and helpful information. Books can also provide a break from stressful circumstances, especially fiction genres. Keep reading for a list of recommended books that are helpful to people and families coping with cancer. Chemo: Secrets to Thriving, by Roxanne Brown: The author creates a simple guide to everything she learned with her breast cancer diagnosis. 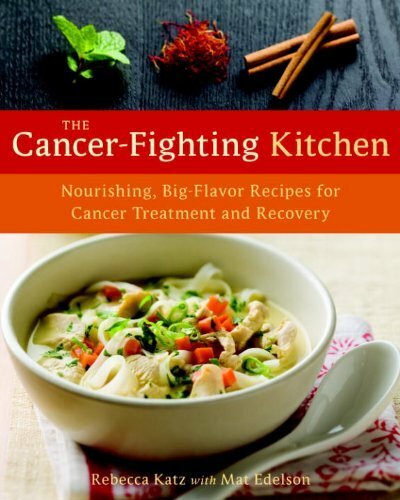 The Cancer-Fighting Kitchen, by Rebecca Katz, M.S. : Step-by-step guide to preparing nutrient-rich food for all phases of cancer treatment. 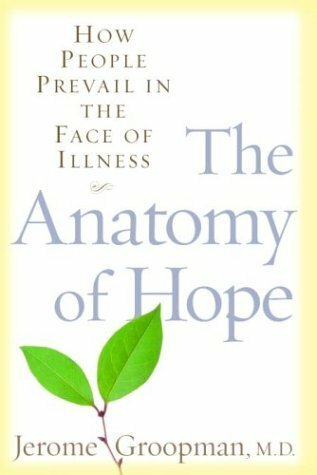 The Anatomy of Hope: How People Prevail in the Face of Illness, by Dr. Jerome Groopman: A new way of thinking about hope for cancer patients and their families. 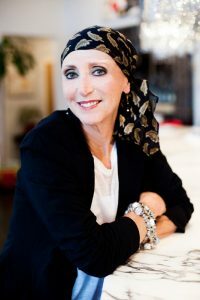 What Helped Me Get Through: Cancer Survivors Share Wisdom and Hope, by Dr. Julie K. Silver: Cancer survivors, including Silver, share their stories. The Human Side of Cancer: Living with Hope, Coping with Uncertainty, by Dr. Jimmie Holland: Advice and explanations from cancer survivors and their family members, as well as research summaries, tips and checklists. How to Cope Better When Someone You Love Has Cancer, by William Penzer: Author shares his journey of supporting his daughter when she was diagnosed with breast cancer.